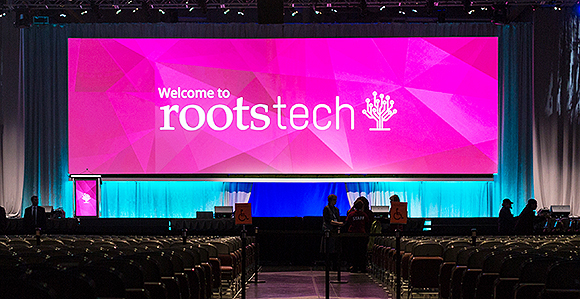 RootsTech Family Discovery Day is a 1-day free event on Saturday, March 3, 2018, designed to help LDS individuals and families discover and celebrate their family heritage—past, present, and future. Family Discovery Day originates at the RootsTech family history conference in Salt Lake City, Utah. President Dallin H. Oaks and his wife, Sister Kristen M. Oaks, will be the featured keynote speakers at the Family Discovery Day general session, beginning at 1:00 p.m. MST on March 3. Attend in person in Salt Lake City, Utah. The event is free, but registration is required. Visit rootstech.org/family-discovery-day to register. General sessions will be streamed live on the home page of LDS.org in English, Spanish, and Portuguese so people worldwide can participate. Watch later. Beginning at 1:00 p.m. MST, videos of the messages from Family Discovery Day will be archived at lds.org/discoverfamily for later viewing in English, Spanish, Portuguese, French, German, Italian, Russian, Chinese, Japanese, and Korean. Learn more in a Church News article or at rootstech.org/family-discovery-day.